One of the Hong Kong’s largest one-day banking conferences is celebrating its 10th year. Since its launch in 2009, The Hong Kong Institute of Bankers Annual Banking Conference has quickly become one of the most important banking events in Hong Kong. The conference is specially designed to cater for the banking professionals in Hong Kong and it covers topical issues that are highly related to the local banking community. The HKIB Annual Banking Conference 2018 will continue to bring together many of the industry’s top executives, regulators and thought leaders to discuss the issues that will shape banking over the coming years. With a healthy Fintech ecosystem established in Hong Kong and the facilitations from the regulatory bodies, banks are strengthening their foothold in the Fintech revolution through enhancing their digital capabilities and nurturing the innovation culture. New initiatives such as Open Banking, Virtual Banking, Fast Payment System etc. provide a good platform for banks to benefit from technological advancements and strengthen their structural advantages in the market. Not only this enables banks to meet the rapidly evolving demands of their digital savvy customers, but also enables banks to re-imagine their operating and business models to enhance their competitiveness. With the theme “Banking for a Smart Society”, the event will look at how banks should digitise processes and channels to create a well integrated customer experience in a smart society. The event will discuss how the industry should manage this digital transformation as business model, talent requirements, technologies, processes, culture etc. are undergoing significant changes. This event will feature a morning plenary session and three afternoon breakout streams which will offer an interactive programme that truly addresses the industry needs. 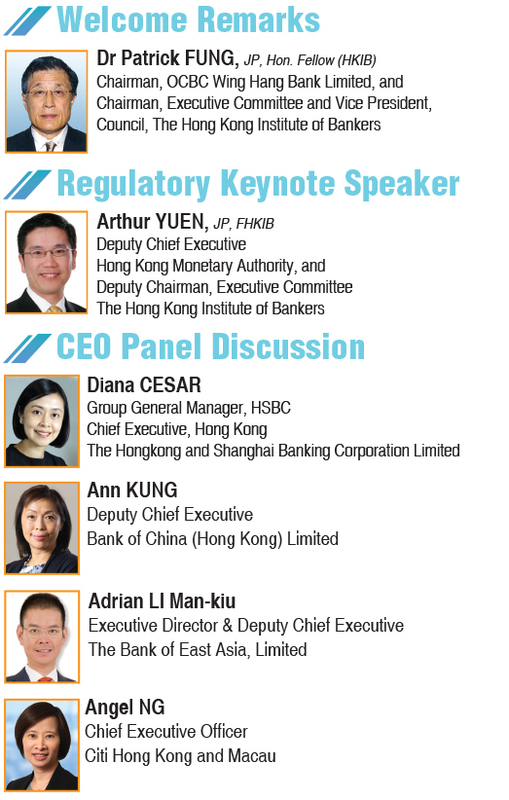 The HKIB Annual Banking Conference 2018 is not to be missed! Congratulations to the winners below! All winners will be notified individually for prize redemption. Please visit our website regularly to get new updates about this conference.
" Valuable insights from the top with unbiased banking industry views "
" Diversity: Covering business, operations and technology issues "
" Great learning and networking opportunities "
" Hear the first-hand views of policy makers and regulators "
A range of sponsorship opportunities has been designed to offer your firm increased exposure to key market players in the banking community. 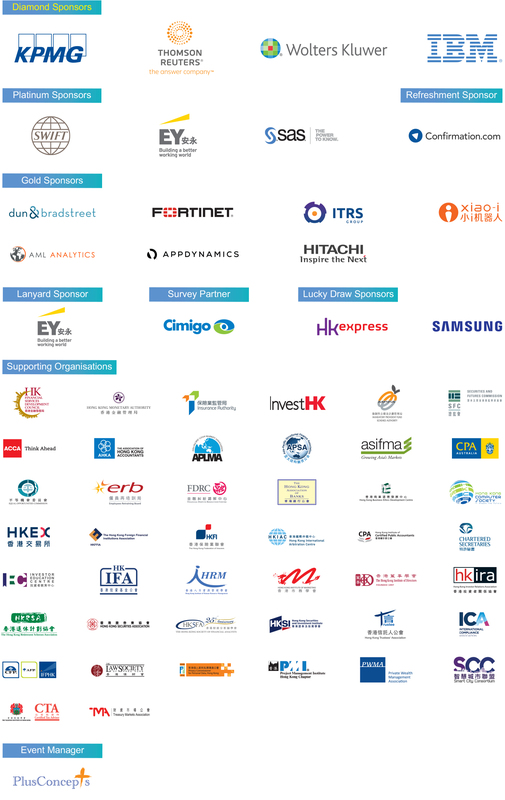 Demonstrate your commitment to the industry and reach your target audience more quickly by having a presence at the HKIB Annual Banking Conference. For enquiry, please contact Dr. Sammy Ho at +852 8203 6093 or sammy.ho@plus-concepts.com.